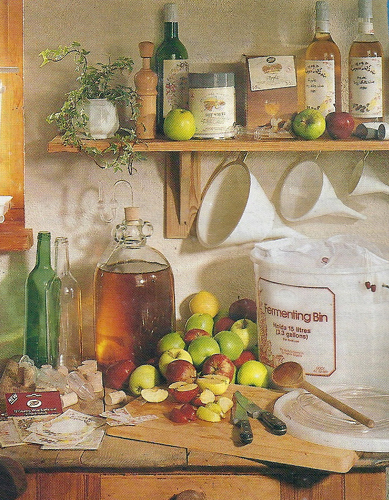 Home Winemaking - Making wine at home. Home Winemaking and Home Beermaking (homebrew) are exciting and rewarding hobbies. They are fun to make and save you money. The purpose of this site is to show everyone who would like to make wine just how easy it really is! Today there are many thousands of enthusiasts making wines many of which are comparable, or even better than, commercial products. Standards are steadily rising and many winemakers are making wines of such high quality, that they are only too happy to share them with absolute pride. 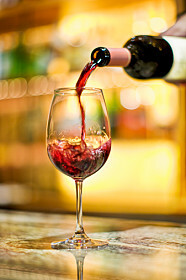 A glass of home made wine is a tradition of old English hospitality that your guests will always appreciate. However, remember the virtues of moderation ... home made wines are often surprisingly high in alcohol content. You can start by using your own fresh fruit or that gathered from the many pick-your-own orchards and fields that are open to town dwellers, where there are many fruits to choose from. First-class kit wines can also be made by using grape concentrate that is available from your local home winemaking stockist. By using grape concentrates, you can make wine that originates in many parts of the world, bringing to your table a truly international flavour. 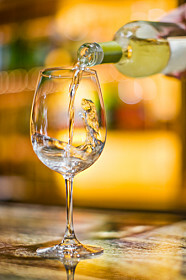 You can choose to make dry or sweet wines, light or full bodied, white, rose or red. Winemaking can be a novel experience in its planning, making, tasting and by the sharing with others, adding to the joy of having a good time with good company. Nowadays, the quality of home made wines are better than ever. 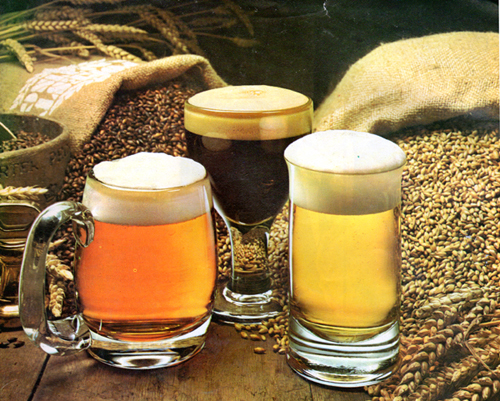 The items described on this web site are available from your local homebrew specialist. Whatever you need, please use and support a specialist shop. Unfortunately, we realise that nowadays many winemakers do not have a local homebrew specialist shop, which concerns us because there is a need for the winemaker to maintain continuity of supplies. We can supply mail order but only in cases where there are no known specialist shops in your area.